Once we have information from your access control system, CCTV or intruder alarm we can use it to help streamline the business processes within your organisation. If we can prove a building is empty we can automatically set alarms, activate external camera systems or automatically switch off heating, air conditioning and lighting systems. We can also provide attendance information or provide cashless vending systems for your accounts department as well as a host of other functions. 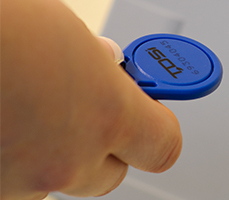 Integrated access control systems have been developed over years of beta testing to provide a powerful management tool to control your business access control system. Most access systems will now sit happily on a Local Area Computer Network (LAN) and can be easily integrated with existing building management systems. The added value from integration can provide real savings in energy efficiency and management time. Keyways is constantly designing new systems to meet the requirements of our clients. 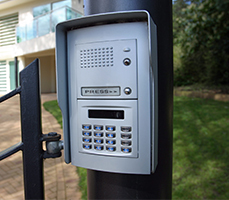 We can provide access control systems for a whole range of businesses to ensure your security. Eliminate the need for keys with smart access control, manage limitations and integrate with your gate access. "Thank you for completing the installation. If you can pass my thanks on again to Dave and Tom also. Pam and I were impressed with the hard work and the standard of the work carried out"